Bjarni Benediktsson and Andrew McDowell after the signature at Iceland's Finance Ministry in Reykjavik. The European Investment Bank (EIB) has extended its lending facilities to the four EFTA countries until 31 December 2021. The investment envelope will also be increased to EUR 1 billion from the previous four-year extension of EUR 800 million. 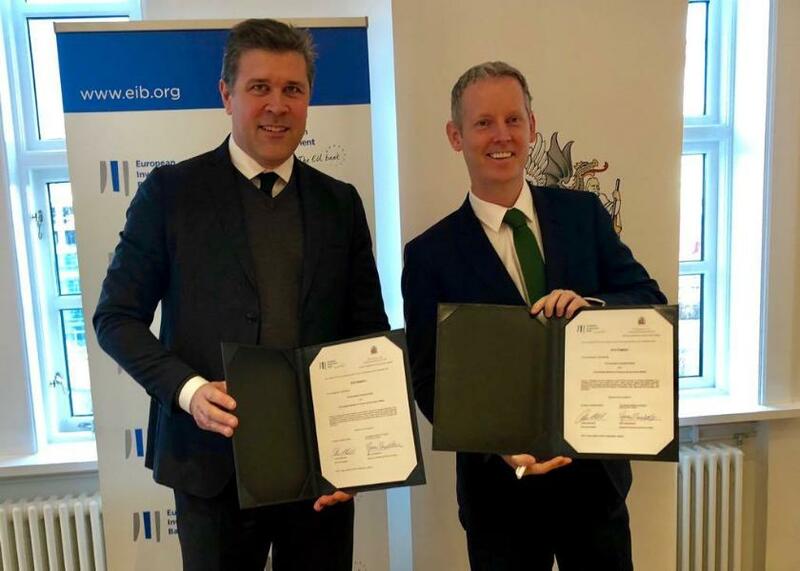 EIB Vice-President Andrew McDowell announced the extension and expansion of the Bank’s “EFTA Facility” at a meeting with Iceland’s Minister of Finance and Economic Affairs, Bjarni Benediktsson, in Reykjavik on 1 March. Iceland currently holds the Chairmanship of the EFTA Council. Minister Benediktsson commented: "It is good to see that Isavia and other Icelandic companies will retain access to loans for important investments in infrastructure, without guarantees from either the government or Reykjavik City, from a multinational investment bank the size of the EIB, as the Bank can offer one of the best credit terms in Europe. This is clear sign that the Icelandic economy is doing well internationally." The EIB’s Board of Directors voted to enlarge the available envelope with an extra EUR 200 million in response to heightened interest in the facility and a growing pipeline.